Cracow is one of those places to which I’m coming back. The city of my past dreams. A fulfiled dream. Do you know what a fulfield dream is? It’s a dream that opens a new dream. 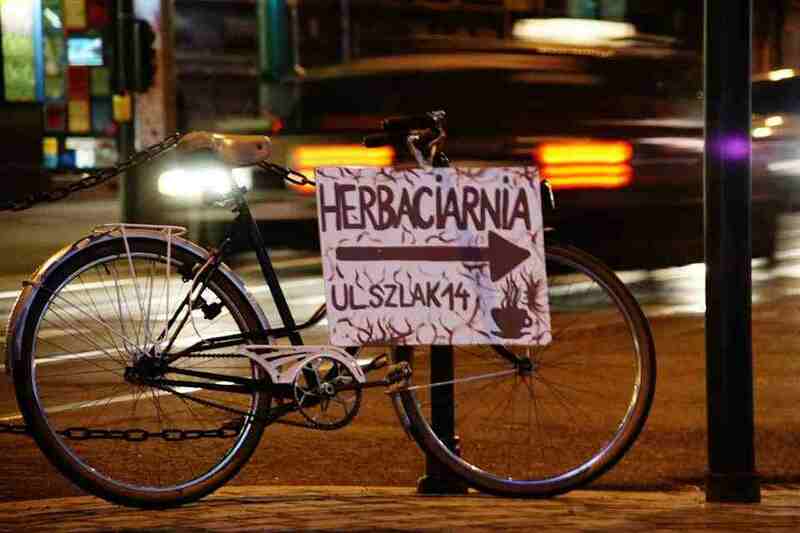 I have dreamt about living in Cracow SINCE EVER (or at least since I ever remember). I always thought that there is nothing better that could happen to me than living in that city. Cracow turned out to be a stage. A life stage. A long one and an important one. A winderful one. A stage. I started my studies in there exactly 12 years ago, on 1st October 2003. The combination od Cracow + Jagiellonian University seemed a top of everything. Unattainable. Iza wrote on my bike bag recently “If you can dream it, you can do it”. True, again. My sister started studies this year. It’s amazing to watch her and observe how is is making the same choices like me, but she is making them in a completely different way. And she surprises me all the time – by her maturity and wisdom. I’m so proud of her. Kino Pod Baranami – a cinema that took care of my film education. Which made me discover that movies are not only those in the TV but much more. The cinema that made me decided to write my Master thesis about movies and start a PhD in film studies (one of those many unfinished projects). A cinema I can write so much about and which is always a very first place I think about visiting when planning my travel to Krakow. 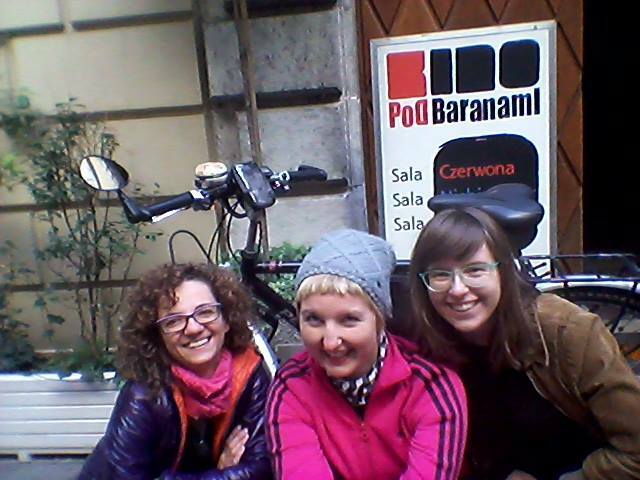 Kino Pod Baranami – at the entrance; with Marynia (on the left side) and Ola (on the right side) and Peggy at the back of us! Kino Agrafka – which was born right before my eyes, literally. I happened to be there during the renovations and on the first screening. I still happen to visit, from time to time, recently on the pre-release of “Amy” in July. Chimera Salad Bar – if you wanna eat around the market square, then usually there. A lot of choice and a lot of fresh, vegetarian food (what matters). I just like it! KoKo – with Polish food and a half-lunch to buy! MOCAK (The Museum of Contemporary Art in Krakow) – which opened just after I moved out of Cracow, but became a place I visit every time I am there. MCK (International Cultural Center) – I don’t visit often, but I do from time to time and I think it’s really great that there is such a place at the market square. There have been a few really good exhibitions I have visitied in there. I remember the one about Bauhaus the most. Yoga Studio by Katarzyna Pilorz – I found myself in there by accident, but I stayed for a looong while to discover my body in a way I had no idea about. Katarzyna Pilorz was my very first yoga teacher and I could not imagine a better one. I remember the lessons with her very very well. Especially the one about folding the blankets. Still today, when I’m practicing yoga, I think about those first times on Sw. Gertrudy Street. Forum Przestrzenie – a bar which opened recently in Cracow (recently means within the last five years when I was not living in the city anymore) and made me feel very very happy that someone eventually made something about this ugly Hotel Forum. A cool postindutrial atmosphere, sunbeds. I always enjoy my time in there! Momo – one of my favourite places to eat in Cracow with Tybetan / Indian food and the best apple pie in the world, made of the apples and roasted sunflower seeds only. I always eat it! 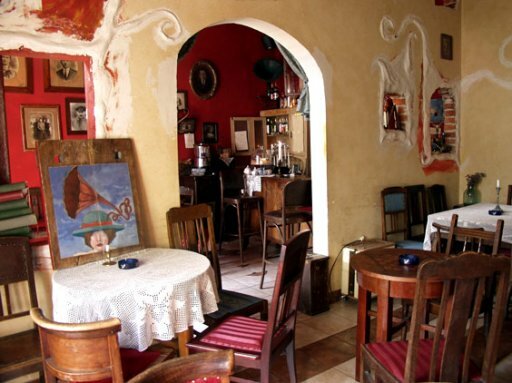 Mleczarnia – a cafe with a very very typical Cracowian atmosphere. In the Jewish district – Kazimi. Pure love. 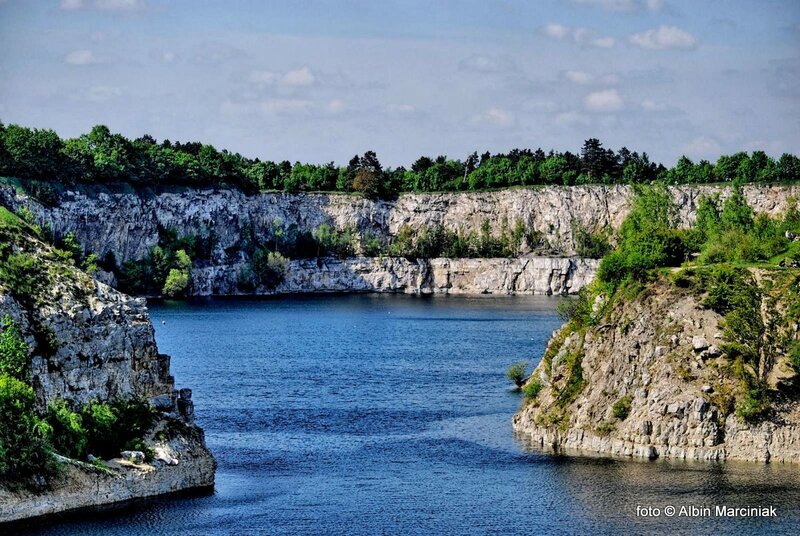 Kraina Szeptow – I haven’t been there for quite a long time, but I used to be there quite regularly. Also in the Jewish district and also with a very typical (lovely) atmosphere. 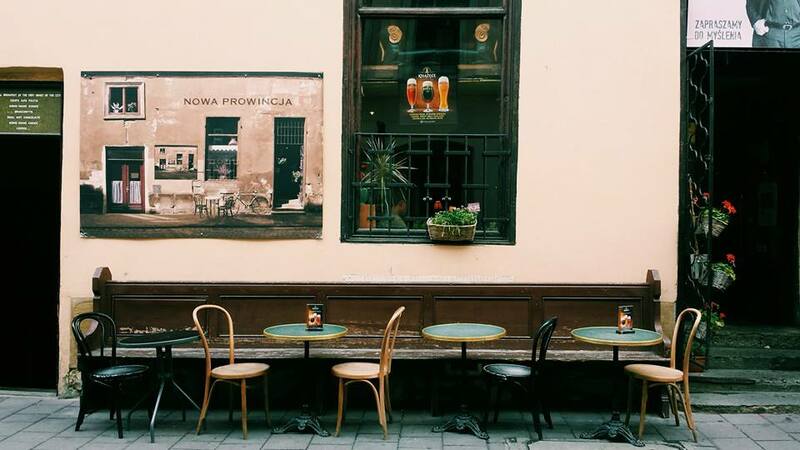 Nowa Prowincja – a cafe at the market square that offers the best hot chocolate in the city – that maybe tastes so good becasue it’s flavoured with a sentiment. This is the place where I have tried the hot chocolate for the very first time in my life. And I really remember how good it tasted! Bunkier Sztuki – a place which made me discover that art is also for people and I am also allowed to visit the exhibitions like World Press Photo. After I discovered it, I started to visit regularly. Bunkier Cafe – just nearby, just next to Planty, so if I happen to meet around the market square, then usually there. Planty – it was really cool to watch them in very different day and year times. In the sun and in the street light during the night. In the snow and in the rain. With falling chestnuts or full of Autumn leaves. You can walk over there, you can ride your bike over there (although it’s a bit crowded, it’s still much much better than at the market square itself!). I used to live once with a window view to Plany. It was a beautiful time! Zakrzowek – I used to live also 10 minutes from Zakrzowek. I once gathered all my courage and I decided to swim in this crystal-clean water. I couldn’t see the bottom as it was some 40 meters deep. But I liked going there and showing it to everyone who came to visit to Krakow and never heard about – just like me before I moved around. Debniki – there are sometimes city districts, which you just like for no particular reason. This district in Krakow is Debniki. I come there from time to time to walk around and I think then that it would be so cool to live in there. And then I leave. 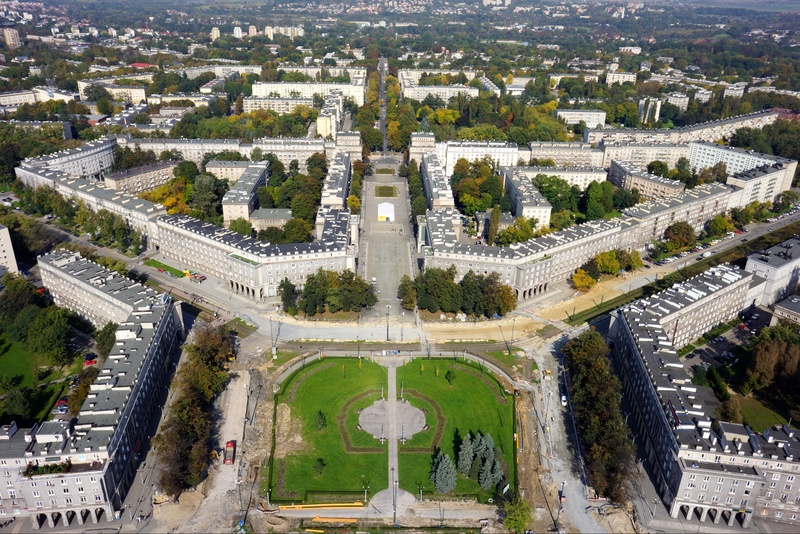 Plac Centralny – a very special place from a year, which I’ve spent living in Nowa Huta district. We’ve never especially liked each other, maybe a bit, but not too much. Maybe if we were given some more time than one year? But I liked Plac. And the A, B, C, D and E housing surrounding it as well. 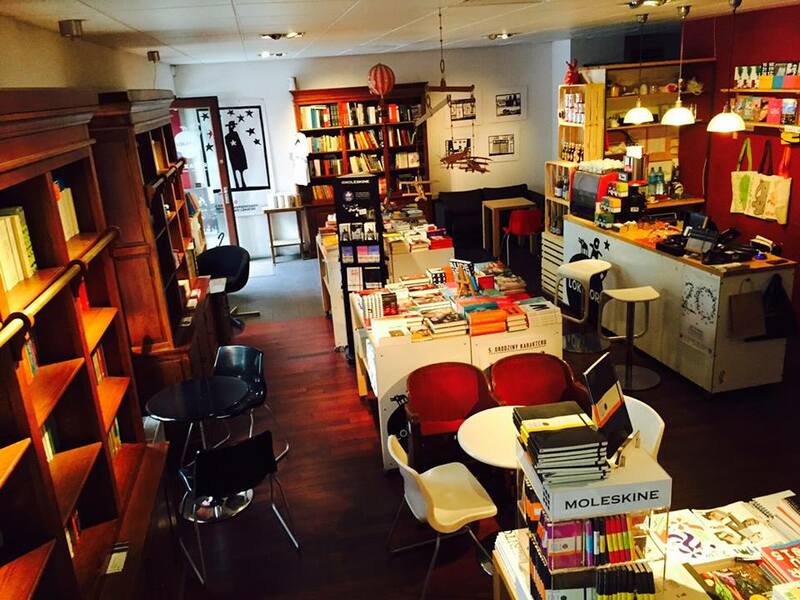 Lokator – a bookstore that was establish after I was gone, but I come and visit from time to time. To touch, watch, smell. And buy something from time to time. Matras bookstore at the market square – a bookstore, in which I bought most of my books! 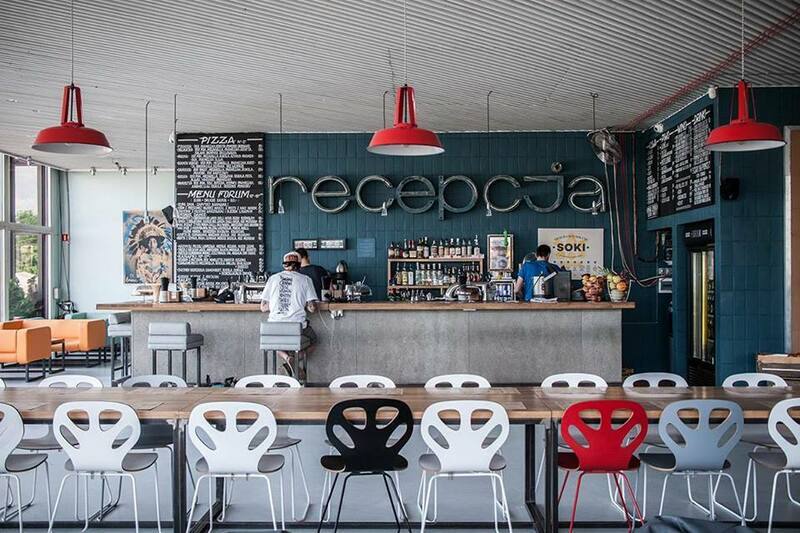 Cafe Rekawka – discovered very very recently, in Podgorze district – both (the cafe and the district) are slowly getting more and more space in my heart. Added to my collection. Kazimierz – a district (already mentioned), which at certain point took all my heart. And the moment I started living in it, was a moment of another dream fulfiled. I come back here every time I can. To watch, at least. Zazie Bistro – amazing potatoe pies, yummy! Bomba Na Placu – I used to come there, when Adas used to work there. Now I don’t. Becasue this place is not the same without him. But I liked it. A lot! Cafe Szafe – there is no other place like that in the world – a cafe, in which instead of on a chair you sit inside a closet! And it’s located outside of the market place, yay! Massolit Books & Cafe – cafe & bookstore combined, a neighbour of Cafe Szafe. 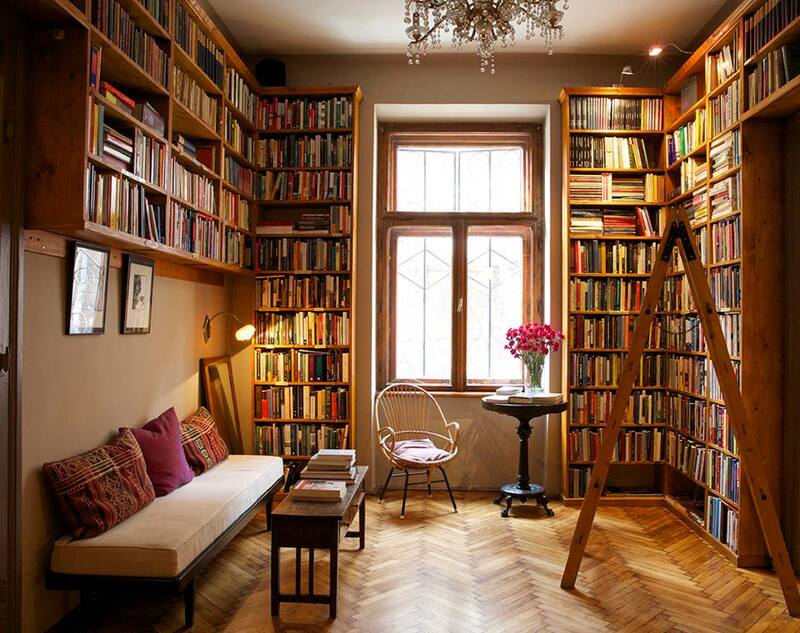 With a fantastic choice of non-Polish books. One of a kind. Nie lubie poniedzialkow (I don’t like Mondays) Tee Club – discovered in July this year. 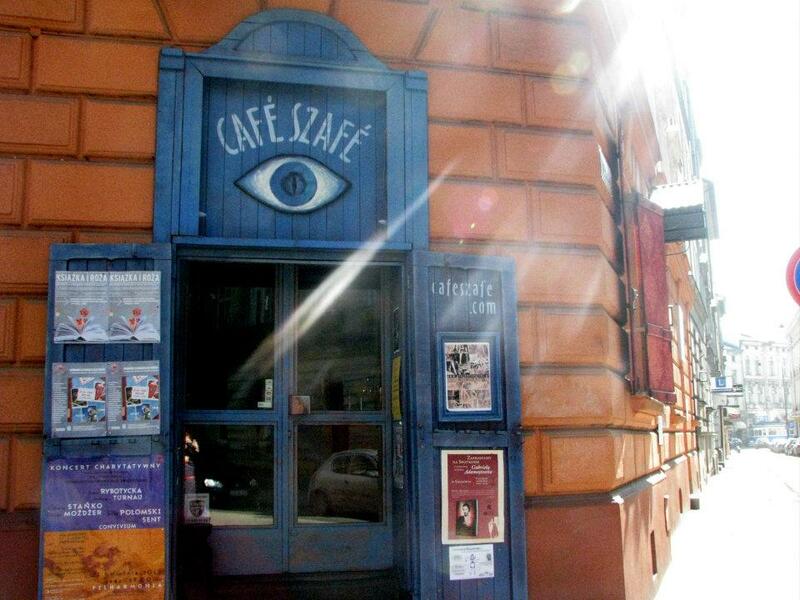 A cafe at Szlak Street, which made me completely fall in love. Now I’m meeting everyone I can right in there! Yeah, you might probably say that I love Cracow. And that’s kind of true. Fulfiled dream and seven years mean someting. Check those places becasue they are pretty cool. I’m tellin’ ya!